Lose weight and feel great in just eight weeks! 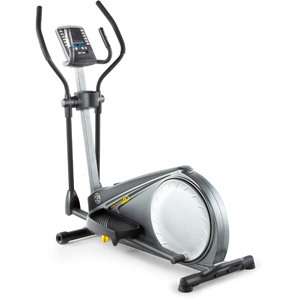 The Gold's Gym StrideTrainer 410 Elliptical features iFit workout card technology with an included Jillian Michaels weight-loss card that delivers eight weeks of calorie-burning workouts. Automatic resistance control and audio coaching will help you lose weight fast! The Gold's Gym 410 Elliptical also features a generous 18-inch stride length with two-position adjustable pedals. Other features of this exercise equipment include 12 personal trainer workouts, 12 digital resistance levels and a compatible music port for iPod.